A mushroom looms like a single entity. Like a tree. Like an animal. Like a man. But, in fact, what we see is just one fruiting body of a large fungal organism. An organism that can grow to cover miles. The largest organism we know of on earth. The fruit appears suddenly – almost randomly. An overnight success. But the organism has been growing and storing energy. It has been invisible but working hard. The fruit is simply a stage that is more visibly apparent. 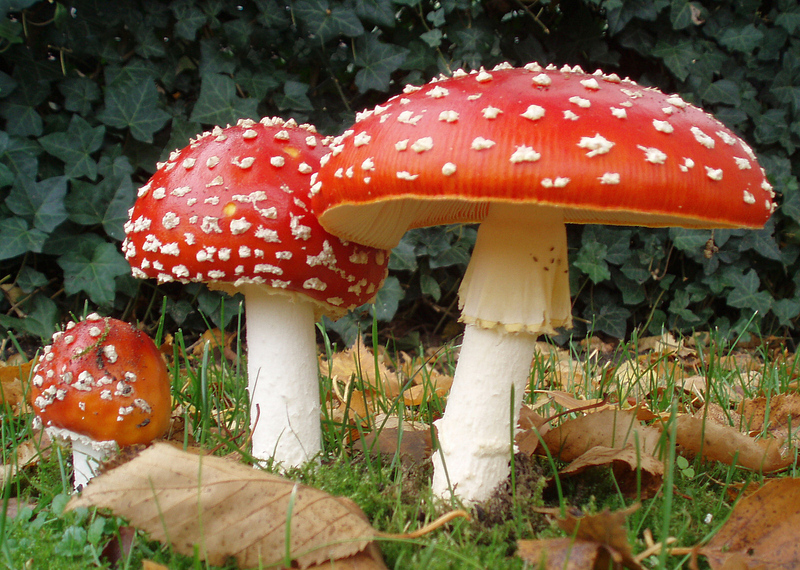 Like the fruit of the mushroom, our works are only the visible fruit of a hidden underlying network. Our accomplishments are derivatives of what is growing and what has been done. The overnight success is the results of years of movement and work in a focused direction. Our work and the work of those before us. I spend a lot of time and energy thinking a lot about a few topics. Minimalism, data analysis, personal productivity, living a purposeful life, building software, surfing, running, etc. Some days these seems like disparate topics. Some days I find overlaps, areas where one or two intersect. These thoughts are not the fruit, they are the network. The blog posts and late night conversations. These hours lost in thought. They are simply finding nutrients and storing energy so that a fruit can be produced when the time and conditions are right. Some fungi go years without showing fruit. They bloom in patterns that confuse even those that study them. But it is not random. The fungi is there working hard and is simply exposed to a catalyst – some condition is met that causes a bloom. Some change the temperature, nutrient availability or soil pH that allows us to see the visible signs of that underground work. The same is true of accomplishments. There is no flash of brilliance. The accomplishment happens because there was something underlying and some external change acted as a catalyst. A change in technology, available information, perspective, available resources, motivation, risk propensity, etc. We must grow our underground network of roots. We must think and push on the topics that interest us even when we can not see where they are going. Change is inevitable. Eventually a change will occur that will produce the ideal conditions for a bloom and it will look like an overnight success to those that don’t understand the true nature.